On Wednesday June 1st, OrientDB’s CEO, Luca Garulli, hosted an Official OrientDB 2.2 Webinar, going through the exciting new features of the latest 2.2 version and answering questions from participants. We’d like to share this with everyone, so we’ve uploaded the video and slideshare slides, as well as included all attendee questions and answers below. Please take a look at the video and/or slides and remember, if you have any additional questions, please contact us here. Lastly, stay tuned for upcoming posts about OrientDB’s MATCH function and SPATIAL support. Though we would have loved to discuss these features during the June 1st webinar, they deserve special attention and will be discussed in detail in our next posts. Q: What about plugins to connect with mapping tools like geoserver? Luca: OrientDB does not have a plugin for geoserver yet, but we would be happy to receive any contributions and help any contributors on this topic. If a large portion of the community demands this plugin, we’ll add it to the roadmap. Q: Hot Alignment was not recommended in 2.1. Is this supported in 2.2? Luca: Excellent question! The Hot Alignment configuration setting is no longer supported in v2.2, because when the node starts up in 2.2, it now always executes a Hot Alignment procedure. So if you’re migrating from v2.1, you can completely remove that setting from the configuration. Q: Are you based in London? Luca: The company is based in London, but the team is distributed across the globe. Q: Is teleporter feature available in community edition of 2.2.0 ? Luca: Teleporter is part of Enterprise Edition, but you can use the Enterprise Edition for Development for FREE. This means that if you want to import a database from Oracle or any other Relational DBMS to OrientDB, you can use it. However, if you’d like to keep OrientDB synchronized with an RDBMS, where the RDBMS is the master of data, this will require a Production license (subscription). Q: Just curious if OrientDB can use the same type of compression which is used in lucene to make it faster? Luca: OrientDB uses Lucene under the hood for Full-Text and Spatial indexes. For other indexes, OrientDB has its own compression algorithms. 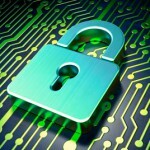 Q: Is Encryption at rest only available in OrientDB Enterprise? Luca: Encryption at rest is available in the Community Edition too. Q: What is the plan to support spatial indexes via gremlin? Currently, sql is the only way to hit them. Luca: Gremlin v3 supports custom functions, so even if it’s not in our short-term roadmap, this is definitely doable. If you’re interested in this feature, please open a new issue for that topic. Thanks! Q: How fast loading is the OrientDB ETL? What about the command Console or different way? Luca: It depends on the format. For a plain CSV, I suggest that you use the OrientDB ETL. For GRAPHML files, use the console. If you’re importing from an RDBMS instead, please evaluate Teleporter or OrientDB ETL. Q: OrientDB is at the same time very powerful and very frustrating to use. The frustration comes mostly from incomplete documentation and a general lack of examples. What are you doing to address this? Luca: We’ve worked significantly over the last year on the documentation to make it more complete and clear. Every day we work on providing more examples to make the learning curve less steep, but there is always more we can do. If there is a specific topic or example that you need that lacks documentation, please let us know so that we can update the documentation. Q: What geo-spatial filtering options are available in OrientDB? Q: What are the geo-spatial filtering options are available (apart from distance()) in Graph / Document mode? Q: What about the point-in-polygon filtering? Luca: You can find all the supported Geo-Spatial functions here: https://orientdb.com/docs/last/Spatial-Index.html. OrientDB kept the syntax from PostGIS, so if you’re already familiar with it, then using these functions with OrientDB should be very similar. Q: What is the progress on the .NET driver? Is it stable? Can features like Live Query be used? Luca: I’ve got good news and bad news. The bad news is that the .NET driver doesn’t support the Live Query feature yet. The good news is that we found .NET experts that are currently working on the driver to align it soon to the last version (v2.2). Q: Is it possible to use Docker to setup a OrientDB cluster? Luca: Sure! You can use our official image. Take a look at the OrientDB Download page. Q: Can we enable command cache for selective queries? Also can we explicitly query the DB if command cache is enabled? Luca: No, but these are very good ideas! Thank you. I’ve just opened an issue for that. Q: What is the license cost for OrientDB Enterprise? Luca: We adopted a transparent policy for prices too. You can find all the prices on the official website under the Support and Subscriptions page. Q: On a different topic: What is considered “a lot of” edges between two vertexes? In other words, should I be concerned about a database architecture that might have hundreds of edges on a vertex? What about thousands? More? Luca: This is the classic “super-node” problem. OrientDB is able to manage many (thousands/millions) edges in an efficient manner. However, when you have a node with millions of edges and you have to traverse all of them via a query, this could be a very expensive task. In this case, I suggest you create an index on edge properties for a faster lookup. If you use the new SQL MATCH expression, it will be able to optimize the pattern matching query based on the available indexes. Q: Where would I find more information about the SQL operations to perform keyword matching at the document level? Luca: You can find more information on the documentation under the MATCH page. Q: Live queries: what about deletions? Luca: If the deletion impacts records that match your query, the event is sent to the subscriber with event type = deleted. Q: Is there any plan to have an embedded version of OrientDB (for mobile app)? Luca: Not in the short term, even if there is an unofficial porting for Android. Q: Do you have or plan to have an official channel for questions and answers? I mean something like stack overflow. Q: I like a lot OrientDB, but i’m wondering if I’ll find free support in some way. Luca: You can find FREE support through 2 channels: StackOverflow by using the OrientDB tag and the Community Group (+3,000 members). Q: How can we compare OrientDB to ElasticSearch+Graph plugin? Luca: The Graph plugin of ElasticSearch doesn’t actually turn ES into a Graph Database. It’s just a way for Kibana to render data in the form of graph. Q: Hi, I have read quite a lot of complaints mainly about the instability of OrientDB and the lack of responsive action towards the Community Edition users; what is your response to that? Luca: With about 70k downloads/month, there will surely be someone who encounters issues getting OrientDB to work by themselves, or sometimes the problem is that OrientDB doesn’t fit their use case properly, like other products can. About the number of issues we currently have, I compared them with other Open Source DBMS projects and I wrote this recent blog post about it. Since that post, we have resolved even more issues and currently have less bugs than even Cassandra. While the entire team puts significant effort in helping community users, providing detailed documentation and including enterprise functionality in the community version (free for commercial purposes too), there is always another avenue to get these issues prioritized/resolved quicker: Support or Consulting. Our prices are public and fair (significantly less than the competition). 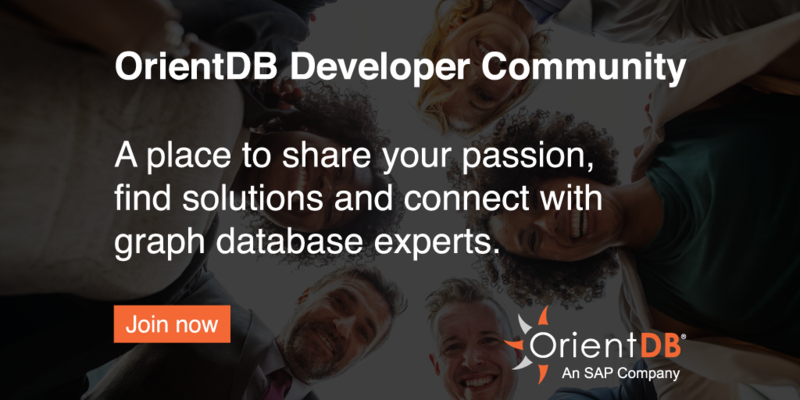 Our clients are able to chat and work directly with OrientDB Developers to get their questions answered and issues resolved. Also, there are SLAs in place to ensure that all inquiries are responded to and handled as quickly as possible.